When looking at information at how to start a bail bond company in your area, you have to understand the risks and the level of commitment involved. The bail bonds business is operated 24 hours per day, 7 days a week and is open on all holidays. When people get arrested, its not often at a convenient time. You could be called at 3am to bond someone out, and you’ll need to respond as soon as possible. Realize that being a bail bondsman, you have to be business savvy, and also be supportive of the person arrested and to the family posting the bond. Most people who’ve never been arrested, don’t understand how bail bonds work and they’re scared. 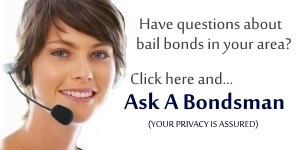 As the bondsman, you’ll need to reassure the family about the bail process and how bail works. Plus, you’ll need to let them know everything about how the bail process is going to work for the one they’re bonding out. Especially the stipulations and rules of your bail bond contract. Indemnitors and defendants need to know that if they break a rule of the court or your company bail bond contract, they may forfeit the bond and be placed back in jail. That if they run, the indemnitor (co-signor) will be required to pay the bond amount plus other costs associated with having to track the defendant down and bring them back to jail. You also must stick to your own rules and procedures so that you never appear to bend as it may happen that you forget this is a business concerning trust, respect and a lot of money. When you start a bail bond company you’ll need to create a proper business listing, LLC or corporation with the state. You’ll need to have this information readily available for all forms. Have a business address and telephone number you’ll use to complete any bail applications and state legal forms. If you open a bail bonds agency using your home address, it may not be allowed in some jurisdictions, as well, may not be safe depending on who you bond. Keep in mind you aren’t bailing out the nicest people in the world, and some may be a tad upset you’re trying to find them when they skip – as will their family. It’s best to keep your home address separate from your business address. You’ll also want to use a real address when you start to market your bail business online. Local search engines like Google and Yelp have certain algorithms that determine a real address from a phony. Create a great business name: be sure this name is available as a website address (domain). 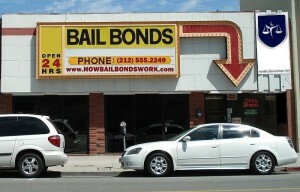 You can visit this site to find bail bond domains for sale. Open a bail bonds agency online the right way first. Find a suitable office location. It doesn’t have to be big, but it needs to be a real address where clients can visit. As well, having a real address will be essential to your online bail business listing. Get a local land line phone. You can always forward this line to your cell phone if you’re out of the office. Be sure that when you return calls to clients who may have left messages, that you use a phone number not linked to your personal cell phone. Or, you can always purchase a Skype phone number to use on your cell phone. Open a bank account in the bail company’s name. Establish agency rules and regulations for when you bring on bail bondsmen to help you grow your business. Establish a relationship with a business lawyer who understands insurance and the bail system in your state. Obtain a bail bond computer or laptop for your bail business to track the policies of defendants, warrant checks and check court dates. Locate a bail bonds insurance surety company in your area or one that covers your state for where you’ll be providing bail bonds services. To start you bail company with a surety, complete all required bail application forms with the surety company and the state. When approved by the surety company, sign your bail agency license agreement. Be sure you understand the requirements that the surety company will have for your bail business. You must completely understand all financial commitments, monthly commission reports, payments in the event of forfeitures, mandatory legal meetings, court appointments and any audits. Apply for a bail bond insurance license from the state’s insurance division, or bail bond board where you live or wish to operate your bail business. Complete all required application forms, required background checks and examinations. Be sure you understand how to open a bail bond company and stay current with all continuing education requirements as required. Know that all states have different laws, rules and regulations concerning bail and a list of those agencies can be found on http://howbailbondswork.com. Once you’re able to open your bail bonds agency, register with the courts in your county or state where your bail company will be operating from. You’ll also register your new bail bonds agency with the local police and the county sheriff department where you’ll be writing bonds. When you start a bail bond company, you’ll need clients. So, you’ll need to be on the jail list for county and local jail bail bonds list in order to have defendants contact you from jail. Be sure you have read and understand the rules set by the jail about how bail bonds work, are written and the bail process as each jail has different methods. Understand and have on hand for your bail agents, copies of all state and county court rules and regulations. You can also look to the Yellow Pages book for advertising but be sure your company listing is on the right hand side of the page, at the top. This is the best placement for any yellow pages ad. When you start a bail bond company, you’re going to need exposure online. As more and more people use their mobile phones to search for bondsmen services, your bail bonds agency must be found online, first. Be sure to find a web designer that knows and understands the bail bonds business and how to create a proper bail bonds website. Your new website should be mobile responsive and geared towards collecting leads. We suggest chatting with BailHound.com about your new website or revamp of your old one. When you begin the process of opening, revamping or start a bail bond company, we hope you take into consideration the determination and dedication it takes to keep an agency up and running. If you find yourself in need of more answers, you can always join organizations like the Professional Bail Bonds of The U.S. or the many professional bail organizations in your area. The bondsmen who belong to these member groups have years of experience in bonding and the know how to set you in the right direction. Most professional bondsmen member organizations also provide continuing education to help keep you and your employees up to date on new laws and rulings, as well, have that time count if needed for any bail bond board in your state or county. If you need help starting your bail bonds company online, please visit our page about bail bonds SEO packages. We can assist you in getting proper local marketing started so you’re online presence is headed in the right direction… .to the top of Google.